Aviation Safety Management Systems is a Part 141 Certificated Aviation Training Organisation. We have specific approval to conduct flight crew training and assess operational competency for unmanned aircraft operations. Undertaking a flight competency assessment. See the table below for a summary of courses offered. We have a drone training course to meet your needs. This certificate is essential for anyone who wants to fly as a pilot for a Part 102 organisation. Also suitable for pilots who intend to fly under Part 101 and want to understand their responsibilities and flying within 4km of an aerodrome. 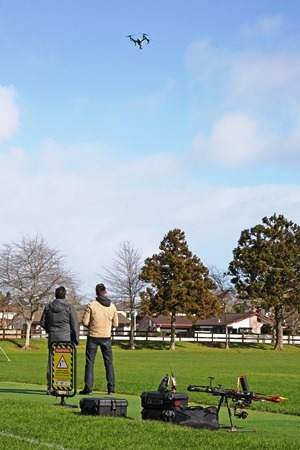 The UAS Pilot Certificate is a two-day course comprised of the Ground Course and Flight Test. This course is for a person who intends to be the person with primary responsibility for UAS operations for a Part 102 organisation, but is not going to be one of the pilots. This advanced course is for a person who intends to use a UAV for the aerial application of agrichemicals (i.e. for spraying). Pre-requisites are: an approved pilot qualification; a current (within 12 months) flight test on the make and model of machine intended for spraying; and a chemical rating. For a UAV pilot who holds an approved pilot qualification and requires a 12 monthly operational competency assessment (OCA) for Part 102 operations. Additional areas of assessment may be included in the flight test if required by the operator's exposition. This will occur when you have an approved departure from Part 101 which requires adherence to a particular operational procedure. For anyone who wants hands-on flight instruction on flying their UAV. We can provide customised training if a pilot requires training to achieve the standard required for a UAS Pilot Certificate or Operational Competency Assessment. The Ground Course and Flight Test are common to a number of the certificates in the above table. Find out more about each of these components below. Our ground course provides the knowledge to operate safely and effectively under Parts 101 and 102. Other associated topics that may be of specific relevance to a particular course intake will also be covered. A guide to the flight test can be downloaded here.